The combination of a stubborn winter that won’t go away and a long home stand against uncommon opponents will lead to some tough decisions for the Twins and their fans soon. At the heart of the matter is this question: When is it too nasty outside to play baseball? Because of those variables, St. Peter said deciding whether to play is “far from an exact science,” and Major League Baseball has no specific criteria. But all the factors St. Peter mentioned could be in play starting Thursday, when the Twins are slated to open their home schedule against the Mariners in a game that has already been announced as a sellout. Thursday’s forecast calls for sun and a high in the mid-30s — and that chilly day might be nicer than the next several days that follow it. Friday is a scheduled off day, and temps are only projected to climb into the mid-20s in Minneapolis. Saturday might not climb above freezing. Sunday and Monday it might snow — the former being the finale of the Seattle series and the latter being the start of a series against Houston that ends Wednesday, with the forecast for the final two games only being marginally better. Those are the only scheduled series for both teams at Target Field this season, so a postponement without an immediate makeup during the same series would mean trying to find a common off date to play later in the season. That said, the Twins will do everything within reason to play. And fans will have to decide how much they can tolerate. 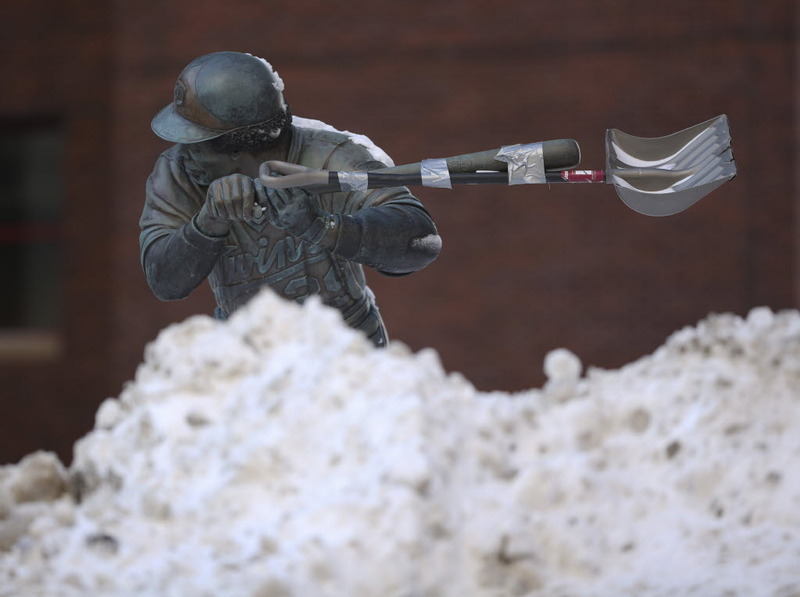 St. Peter said the organization put out a call to all staff members to bring a shovel to work Wednesday — the day before the home opener, when snow from Monday and Tuesday could be lingering. A Twins gametime starting temperature in the 30s is rare but not unprecedented, St. Peter said. It’s happened 10 times in the franchise’s history. The Twins and Blue Jays played on April 17, 2014, with a gametime starting temperature of 31 degrees — the coldest game in Target Field history. Thursday could at least be a few degrees warmer than that. St. Peter was quick to note the Twins aren’t the only outdoor team dealing with the unseasonably cold spring and MLB’s earlier-than-usual season start, as postponements have already dotted the schedule. I had to ask St. Peter, though, if all this made him miss the Metrodome just a little.